Radon is said to cause around 500 cases of lung cancer every year in Sweden and the number one cause of lung cancer among non-smokers. Knowledge about the dangers of radon has increased around the world in the past years. 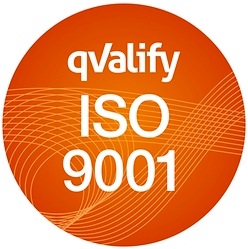 The 1st of June this year, a new law was introduced in Sweden stating that the new limit for radon in living environment, public venues and work places is 200 Bq/m3 . This is also the same value as the National board of Housing, Building and planning has set for new construction. There are now new demands on property owners that all residences shall be below the limit by the end of 2020. Consequently, this has led to a significant increase in radon measurements. Corroventa has delivered a number of radon extractors RS100 to the damage restoration company Corvara in Tranås that are currently working on decontaminating the area Ekmarksberg. Fredrik Persson, who is a property manager at M2 Gruppen in Tranås says that there is a radon crack throughout the whole city of Tranås which results in high radon values in many residential units. M2 Gruppen has, as all other real estate companies, the demand to measure the amount of radon in their properties as well as having reached below the limit of 200 Bq/m3 by the end of 2020. We reached out to Corvara when we got the information so they have done measurements during 2017 and 2018. They measured 23 properties in the Tranås-Sommen area and it was about 80% of the properties where the value was above the limit. The investigation was done in the fall of 2017 and they started the project of decontamination this summer. The properties that Fredrik Persson is responsible for is a total of 700 apartments and they have now done 17 radon extractor installations in these properties. The products they used is Corroventa’s radon extractor RS 100 together with the mounting kit. Peter Janson from Corvara is responsible for the project and says that they have installed one machine per property. Janson emphasize the importance of knowing exactly where the radon gas comes from so the installation will be placed on the correct location. There was no question about whether actions were needed. The measurements were done on every housing floor during two months. Thereafter we sent the results to the Swedish Radiation safety authority. We have also included a silencer from Corroventa to ensure to not bother the tenants, Janson explains. Anders Carlsson is a caretaker in the area and says that they are very happy with the installations and that it has not bothered anyone in the area. Many people know what it is about and they are curious to hear about the projects but nobody has been bothered. 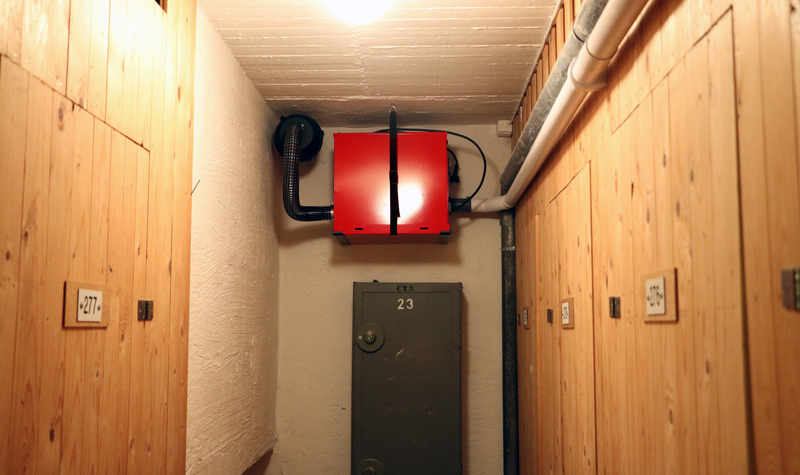 Janson says that the first priority is to install the radon extractors in the property, in this case, in the basement, and thereafter they will go through all apartments to control ventilation and make sure that no valves are clogged or covered. Many tenants don’t want any cold air and decide to cover for example supply and exhaust air valves. The consequence is that it can disrupt the pressure in the apartment and also affect the radon accumulation. That is what we will control. Before, when there was little knowledge about radon, it was believed that the radon gas could not get through concrete plates but nowadays they always cast hoses to remove radon in new constructions. We connect a RS 400 into a cabinet outside and suction devices in the casted hoses. Fredrik Persson feels confident now when the installations are done. The final measurements will be done next year since it is only possible to do radon measurements between 1st of October – 30th of April. You know that support and the products are excellent. When it comes to energy-saving and reliable operation, Corroventa is the best on the market by far and that is very important for us and our customers. Energy saving becomes more and more important and it will show much difference on the energy costs in the long run on so it is very positive that Corroventa’s products has low energy consumption. I also feel safe to know that the products have a long life. The mounting kits are really great and simplify the installation! Radon extractor RS 100 is a very powerful turbine, with an air volume of 80 m3/h and a static pressure of 20,000 Pa.
RS 100 has been developed for the decontamination of radon in houses with slabs on ground or basements on ground where it is difficult to get air through the material. 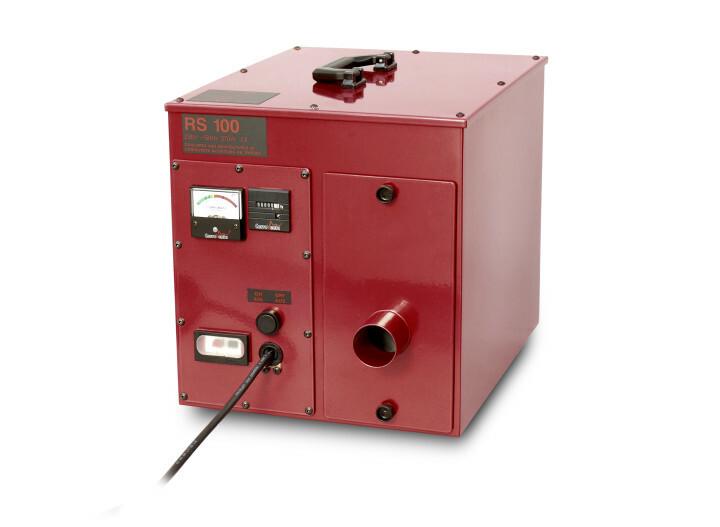 Because RS 100 is so powerful, it can be connected by long pipes and is therefore very easy to position. Can be connected to up to 50 m pipe on the pressure side and up to 200 m pipe on the suction side. 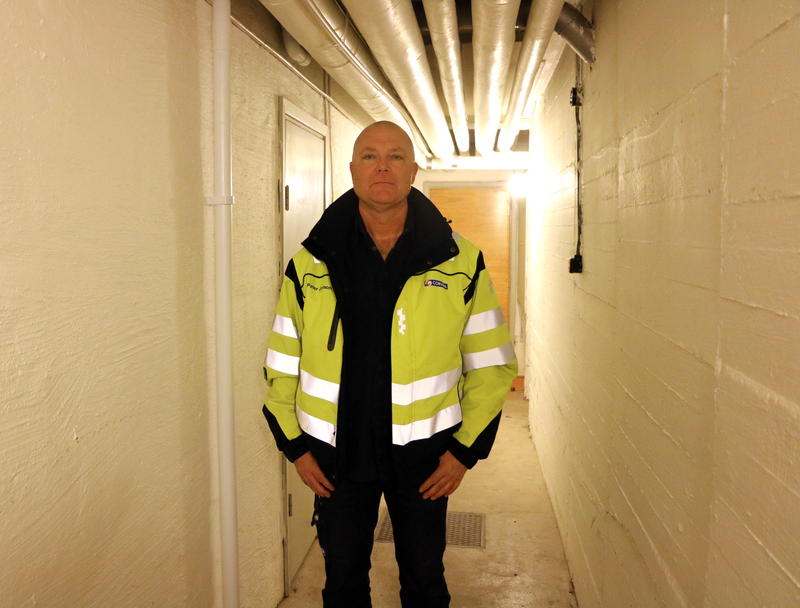 Corvara is one of the leading actors in Sweden within damage restoration and sanitation with ca. 150 employees in 10 offices throughout the country. The company has a strong specialist competence within their areas of expertise: Sanitation of mainly fire- and water damages for property owners and insurance company as well as service of properties. M2 Gruppen own, administer and develop housing and commercial properties In Sweden. They strive to be a long-term owner with the ambition of managing the properties well and efficiently for maximum customer satisfaction. 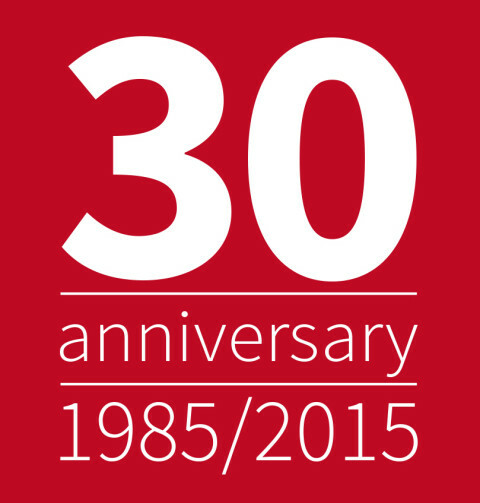 M2 Gruppen acquired their first properties in 1996 and today they have a property stock of around 415 000 m2. They have around 5000 customers, both individuals and companies, that either live or conduct business in their properties. Installation of the RS100 has been done in the basement where they get most effect because it is close to the radon source but also to minimize noise for the tenants. Peter Janson is a moisture technician at Corvara and has been involved in all installation in this project. 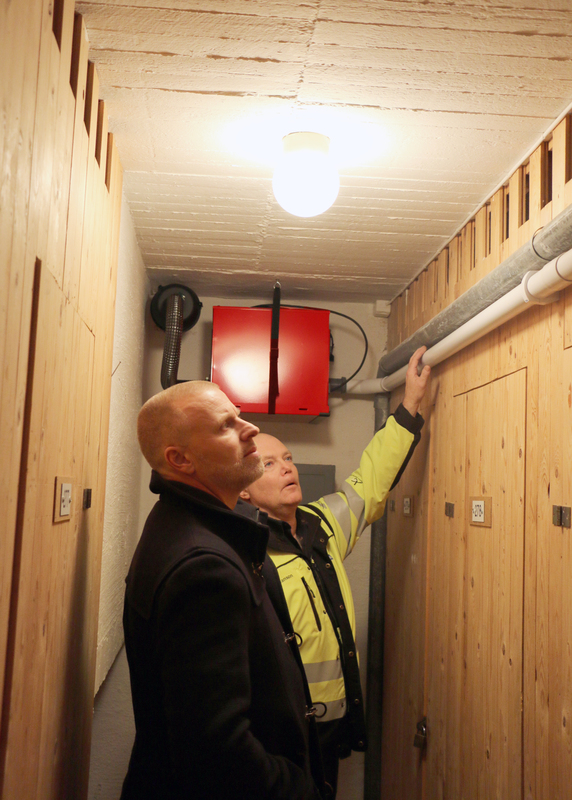 Peter Janson from Corvara shows Fredrik Persson from M2 Gruppen how the installation has been done. 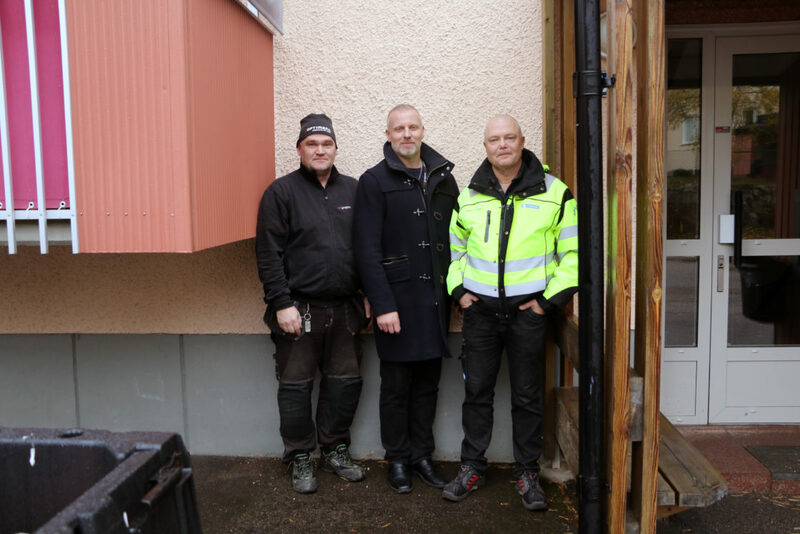 From the left: Anders Carlsson, caretaker M2 Gruppen, Fredrik Persson, property manager M2 Gruppen and Peter Janson, moisture technician at Corvara.